A strong cold front is moving across warm, moist air ripe for strong to severe thunderstorm development in the South. Thunderstorms are most likely to develop this afternoon and evening from East Texas to western Alabama and as far north as western Tennessee. The main threat on Monday will be strong winds, but a tornado and some marginally severe hail can't be completely ruled out. 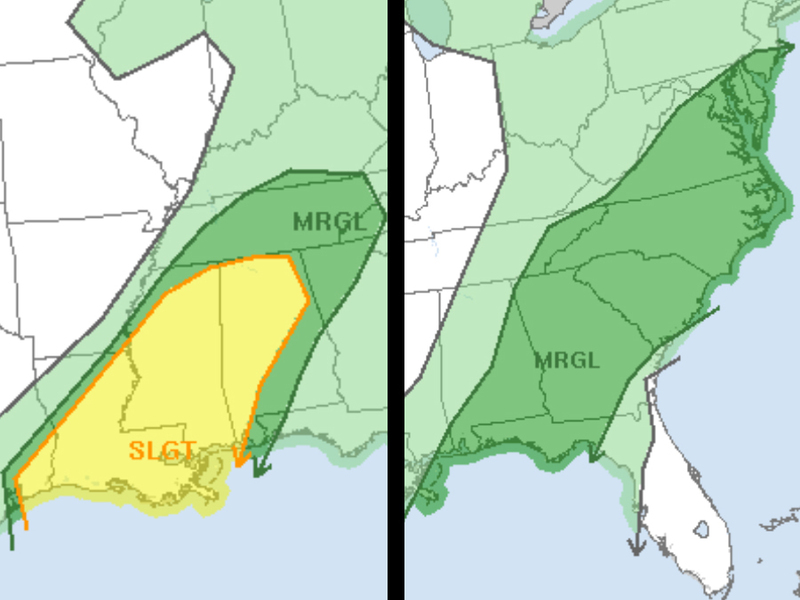 The severe weather threat is expected to continue into Tuesday and Wednesday, moving across the Southeast each day, but the chances also decrease with each passing day. Severe weather in November is relatively rare. The Storm Prediction Center has given today's threat an "enhanced risk," and during the rest of November, only one other day, Nov. 22, received a "slight risk," one threat level lower than today's. 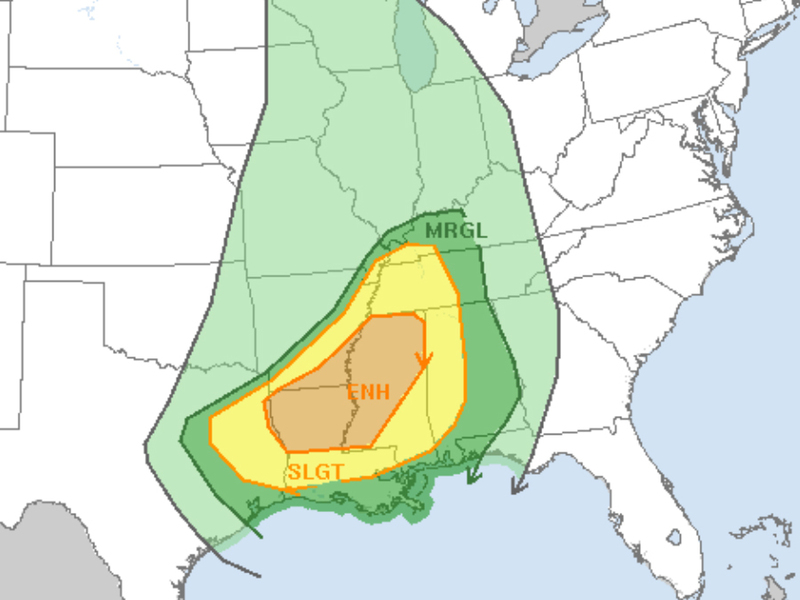 That day turned out to be a bust without a single severe weather report in the risk area. That's not to say November can't produce severe weather. A marginal risk for severe storms produced 39 wind damage reports across the Midwest on Nov. 18. In past years, Nov. 16-18, 2015 and Nov. 17, 2013 are two notable tornado outbreaks to happen in the month of November, and they're also the two of the last four times the SPC has issued an "enhanced risk" or higher. 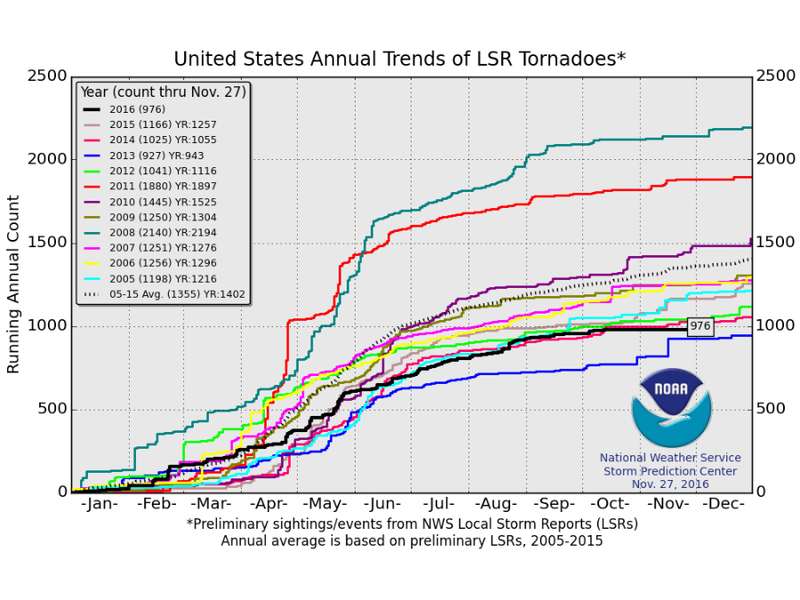 Overall, this year has been a down year for severe weather with exceptionally low numbers of tornadoes and hail. Wind damage is the only type of severe weather that's been near average. Severe weather typically slows down as the weather cools down, but a recent surge of warmer air across the Southeast is providing one of the necessary ingredients for a multi-day severe weather outbreak as November comes to an end.